Easter Eggs are not just for the Easter Bunny anymore. Nowadays, video games, television shows and movies are chock full with pieces of information called Easter Eggs, because they are hidden and generally will give the person who is sharp eyed enough to see them a little prize. 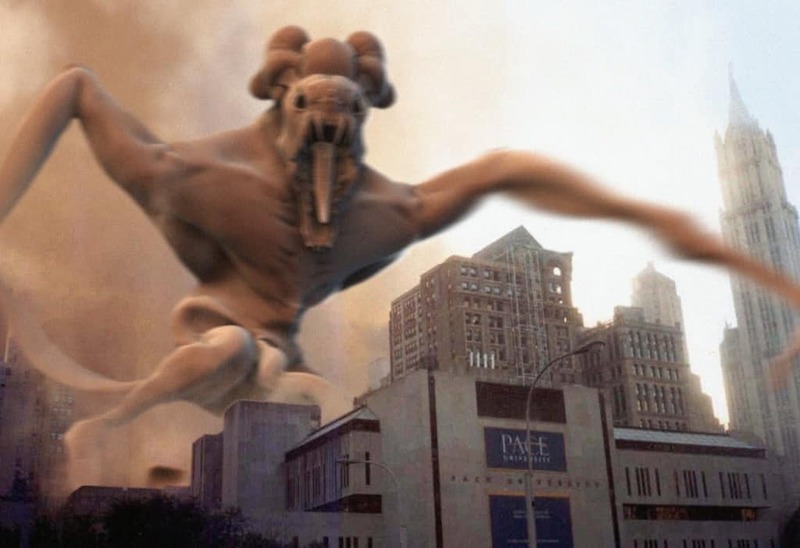 The people behind the Cloverfield movies have apparently buried a number of Easter Eggs in their creations, as well as the promotional material surrounding those movies. That shouldn’t shock anyone who understands how JJ Abrams works. The man made the sheer existence of these films Easter Eggs at one point, hiding what they were with code names and secret trailers before they were officially announced. For those of you who love hunting for Easter Eggs in this manner, read on and let us know if you had spotted any of these before and also let us know of any we missed. 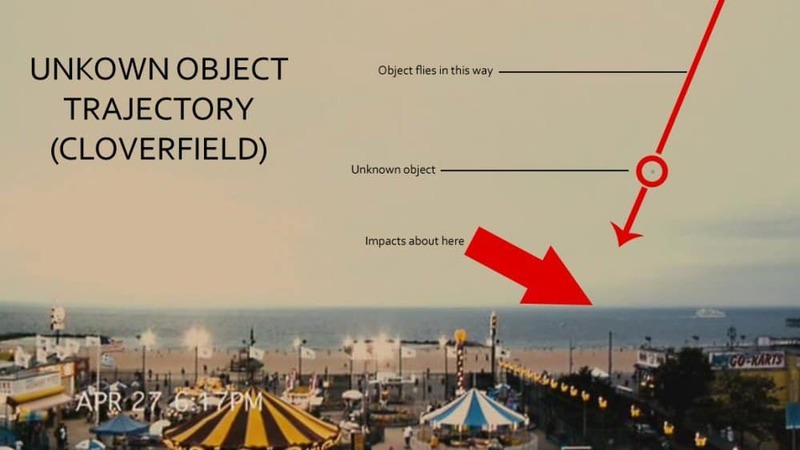 A “blink and you’ll miss it” moment takes place towards the end of the original Cloverfield film. The last surviving main characters have just loaded up in a helicopter and think they’re getting away. The monster is then bombed and a puff of smoke surrounds it, it leaps and attacks the helicopter. 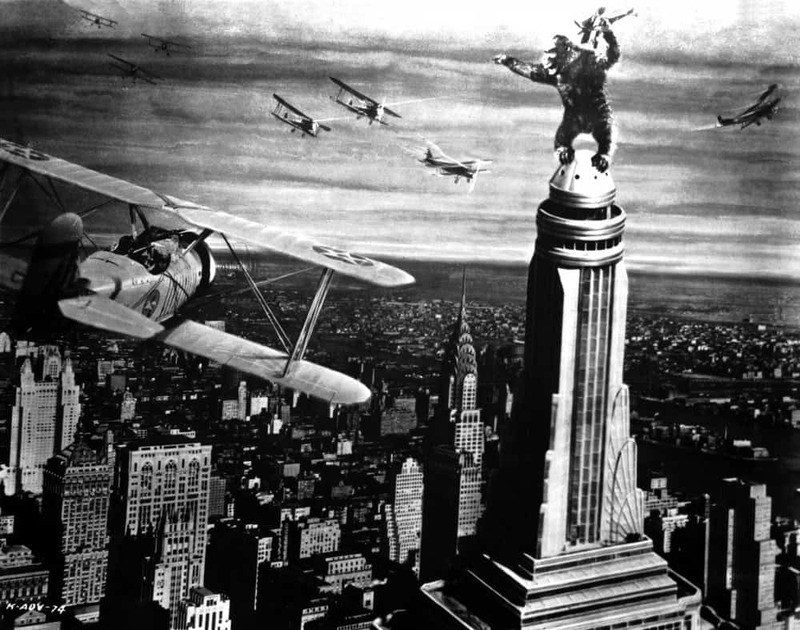 During this sequence, there is a single frame of this iconic shot of King Kong doing battle with planes in the same general area of New York. Pausing and stepping forward is the best way to check this Easter Egg out. The army certainly had its hands full with the Cloverfield monster. At the end of the movie the military talks about getting ready to hit it with “the hammer” thought to be a massive bomb. The hammer is dropped but during the credits of the film, there is some static and then a report that “it’s still alive” meaning it appears the creature survived this final all-out assault. Just like King Kong, the film has one quick flash to a film it’s apparently paying homage to. During the scene where our heroes are in the subway and are attempting to fight off insect like creatures that have come from the larger beast. 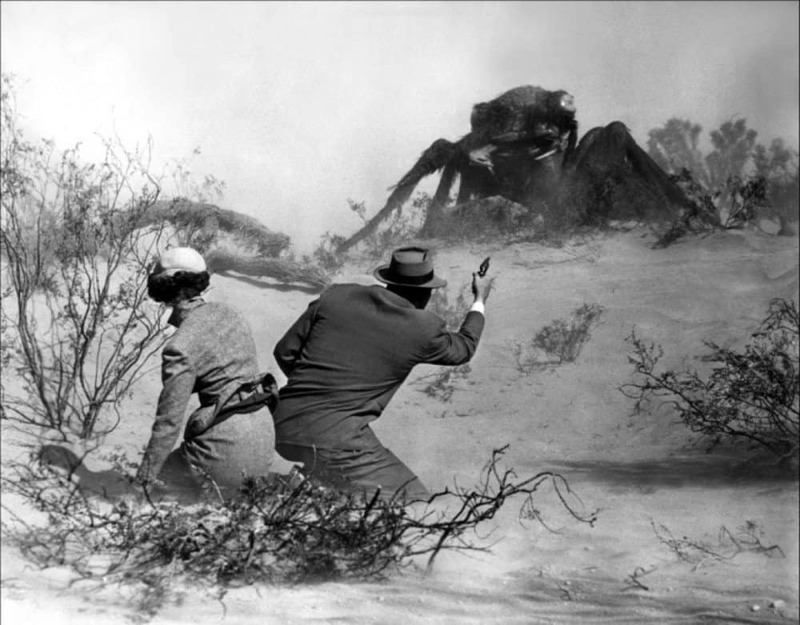 When they’ve managed to escape the creatures, one character drops the camera and we get a shot of his friends getting on the train and a single frame of the black and white shot of a giant ant from the 1954 horror film Them. Just in case you thought these freeze frame black and white shots interspersed in the film were some sort of mistake, the fact that there are three should prove that theory wrong. 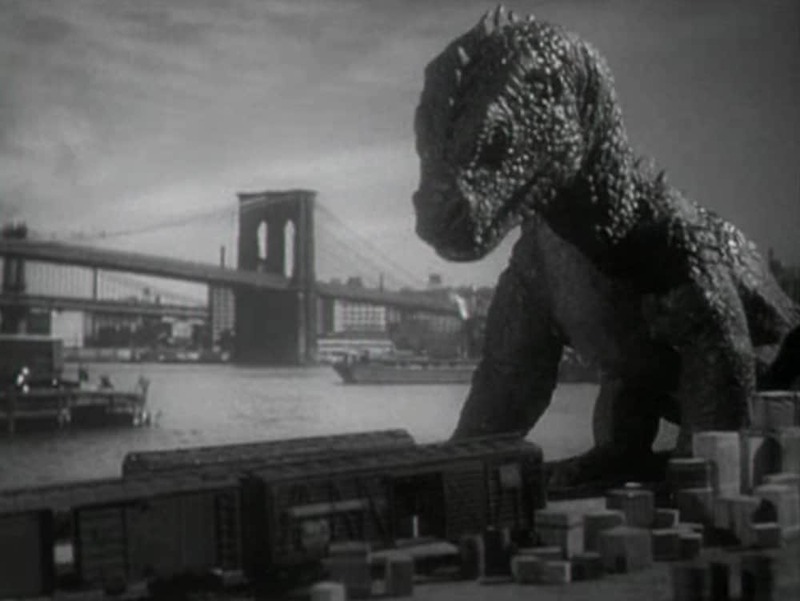 The third scene comes just after the Giant Ant shot where the characters are getting off the subway train a couple of “white noise” segments hit the camera and during the second one, a shot of the beast from 20,000 Fathoms can be seen. 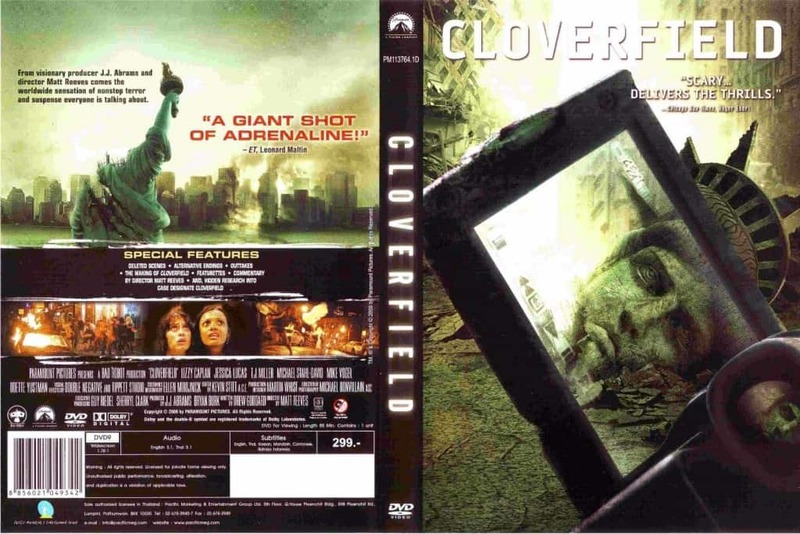 While the poster for Cloverfield isn’t all that helpful in really telling you what’s going on in this film, you do know there some destruction of New York going down, considering the smoke billowing from the city. 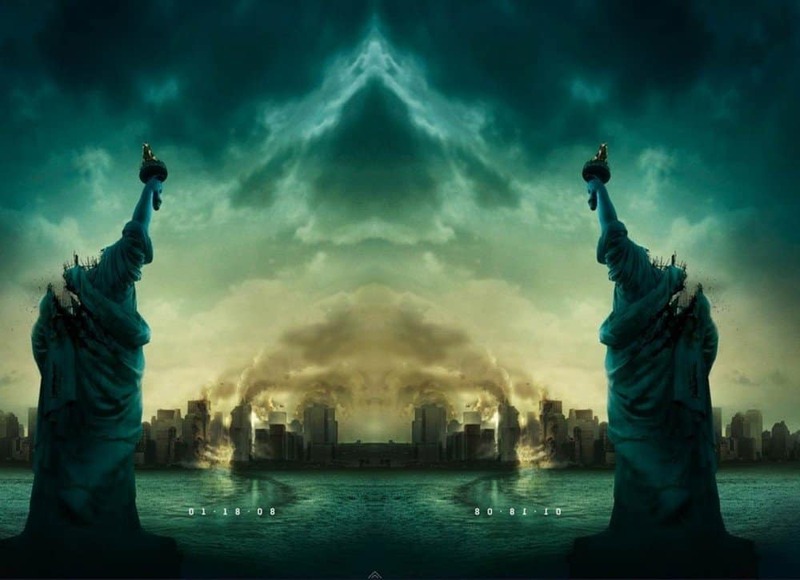 In what might be the best Easter Egg of the bunch, when you put turn the poster around and put two copies next to each other, we see the smoke actually forms the shape of the Cloverfield monster hulking over the city. While the DVD has 16 different chapters, there is actually a 17th chapter that you will need to dig around a bit to unlock. Once you do manage to unlock it, you won’t be disappointed. The stuff found here will fill in some of the blanks about what happens off screen and where the monster came from. At the very end of the film, after the main characters appear to be dead, we see a final shot of an earlier, happier moment between the two as they sit on a Ferris wheel high in the sky. Most people might think this scene is just to make us feel worse about the dead lovers but there’s actually another reason. In the background of this shot, you can see something falling through the sky and hitting the water. Some have said this is the monster itself landing on earth. Others believe it’s some kind of satellite falling to earth that wakes the creature. Either way, it’s an interesting little tidbit and explanation of that final scene. 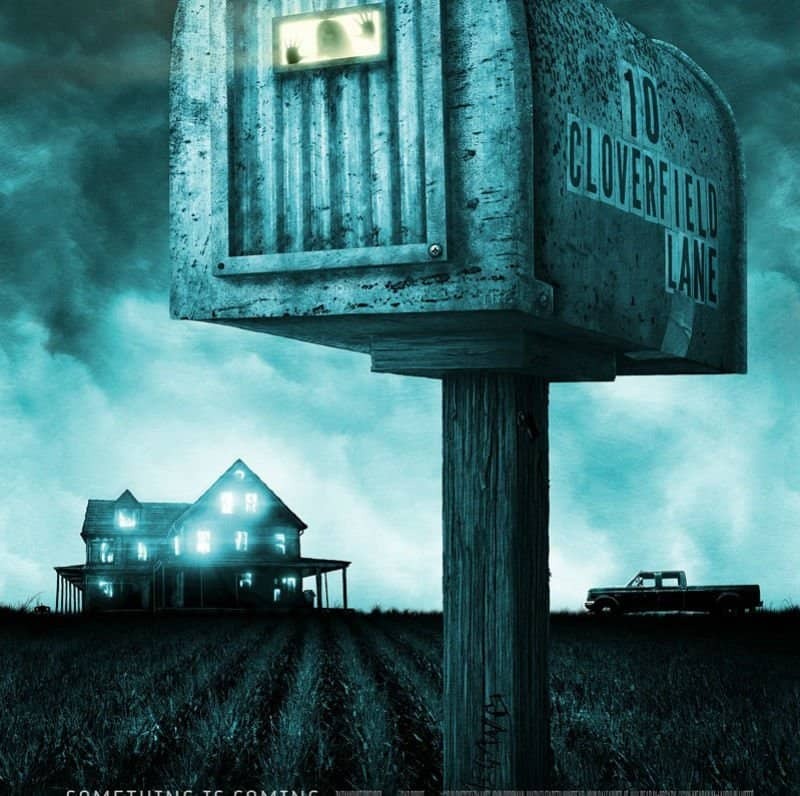 The 10 Cloverfield Lane movie poster has a bit of an Easter Egg in that we get a glimpse of just who will star in the film. The mailbox in the picture also serves as the bunker the characters are holed up in. At the bottom of the post is the word Megan, the female character and a heart. It would seem the entire mailbox is giving us a clue as to the plot of the film. The DVD release of Cloverfield has its own Easter Egg in the special features menu. On the statue of liberty you can move the cursor over the head and a little red helicopter will appear. Select this and you’ll be treated to a special clip from behind the scenes with the cast and crew. 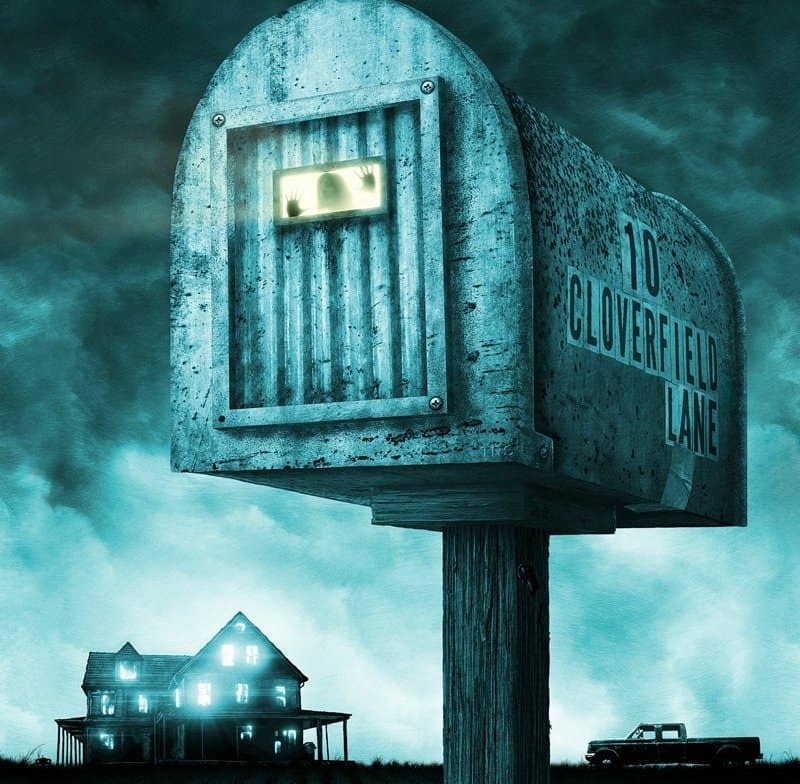 There is one other Easter Egg in the 10 Cloverfield Lane Poster. Bad Robot is the company behind both of the Cloverfield films and the firm’s logo makes an appearance in this particular poster. Check out the bottom left, right next to the farmhouse and you can see the little logo popping his head up out of the grass.